WBTV and Blue Ribbon Content are getting close to launching their third animated series on the CW Seed with Constantine. Vixen has already had two six-episode seasons which has since been turned into a 90-minute movie and aired on the CW as well as was released to Blu-ray. The character also made the jump from animation to live-action in Arrow season four, then her grandmother joined DC’s Legends of Tomorrow in season two and now the villain Kuasa is menacing the Legends in season three. The Ray, the second animated character featured, was switched up a bit after the series was created, introducing the character in the Crossover event before releasing first six-episodes season on the CW Seed. 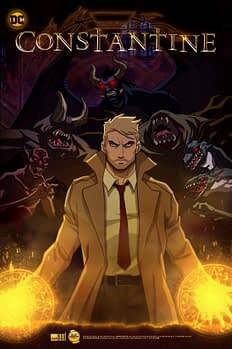 Their next animated series is even more complicated as they take John Constantine who debuted on NBC and then was brought into the Arrowverse in Arrow season four and has now popped up on Legends recently, and give him his own animated series. BRC’s Peter Girardi talked with reporters at the Television Critics Association’s winter press tour today and gave an idea of what is in store for Constantine and the animated universe going forward. First up was a questions about whether they hoped to continue with the live-action/animated crossovers or will some of the characters be animated only? That’s yet to be determined. The first one we did was Vixen. And Vixen started out as animated. And I think we were also happy when it did migrate into the Arrowverse, but it started out as animated first. Since then, we’ve figured out a little more of a strategy around it where we worked very closely with Greg [Berlanti] and Marc Guggenheim and the team there to figure out what characters are going to work, what’s in [their] future plans, what can we do. What makes something more inclined to be animated? Also, with animation, the first thing you ask is, Why does this need to be animated? So we try to up the scale, and the consequences, and the VFX, and the set pieces in animation because, as we call it in the world of animation, pencil power. Just pencil power, it’s people drawing. Constantine was a great example as well because the Constantine that we’re doing … it’s Constantine, if you’re familiar with the character. It’s Constantine from the Vertigo comic; it’s dark. 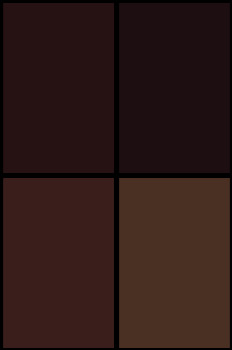 Darker than the show. And if he expects the audience to be older than they had for Vixen? Vixen and Freedom Fighters: The Ray are available now on the CW Seed. Release date for Constantine has yet to be announced.